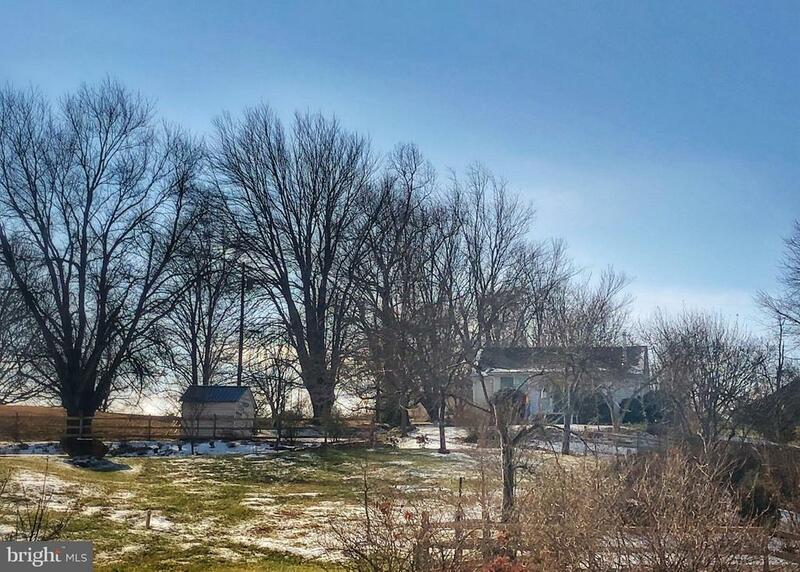 All Sperryville homes currently listed for sale in Sperryville as of 04/25/2019 are shown below. You can change the search criteria at any time by pressing the 'Change Search' button below. If you have any questions or you would like more information about any Sperryville homes for sale or other Sperryville real estate, please contact us and one of our knowledgeable Sperryville REALTORS® would be pleased to assist you. 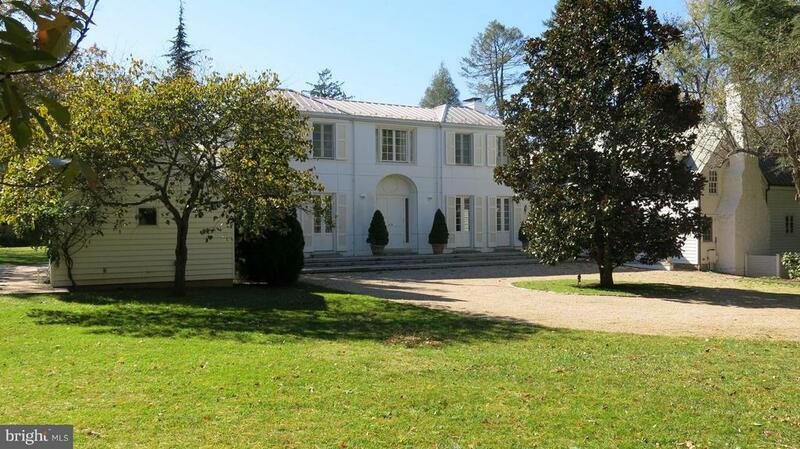 "Piedmont Farm - Rappahannock's grandest estate. 400 acres. Large manor house, pool, stunning landscaping, 2 guest cottages, farm manager house, caretaker cottage, 6 bay garage, offices, barns, stables, pond, and miles of fenced fields, wooded mountain trails, several streams, and Hazel River frontage. Turnkey farm operation includes state-of-art slaughter facility. Stunning views next to SNP." 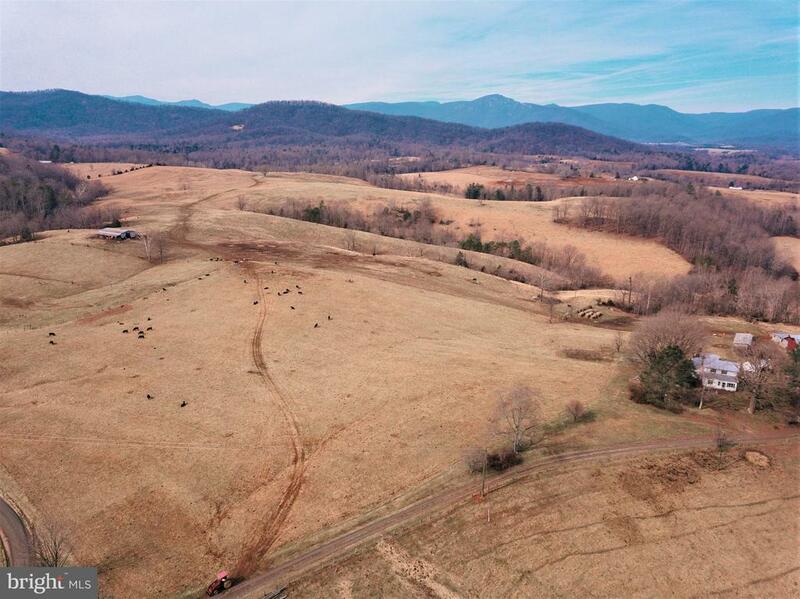 "privacy, lush pastures and forested riding and walking trails,sparkling river frontage, and gorgeous mountain views all on 176 acres. Farmhouse with views, office/studio, guest house, garden outbuildings, small orchard. Beautifully maintained farm and woodlands, 3/4 mile frontage on Hughes River. Potential for livestock. Great easement candidate. sep 18 acre parcel with mobile home as well." "Imagine the sunsets over Old Rag Mountain as the sky is lit on fire in shades of orange and red and the ridge-line silhouetted against a vivid sky. 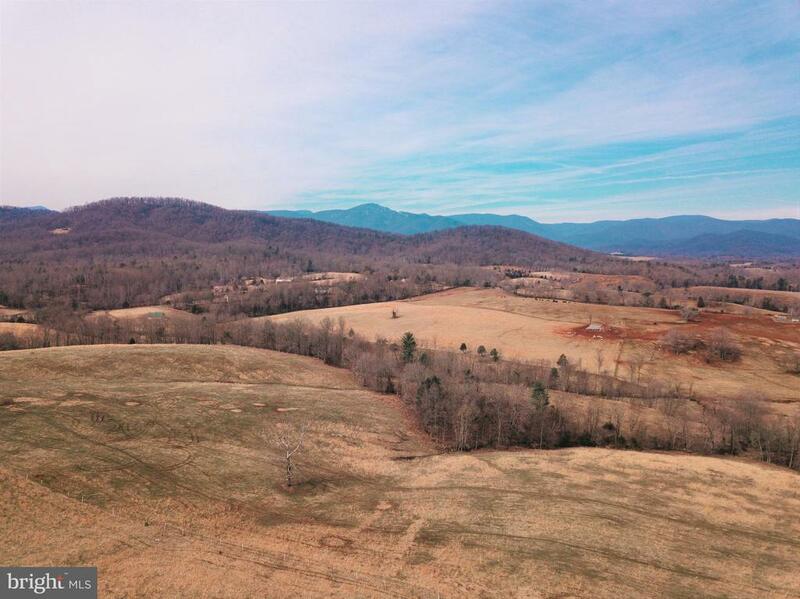 Anyone who has admired the spectacular beauty of Old Rag is sure to love this property. 146 Rolling acres combining open fields with mature woods. Located just off a quiet country road, the property has an excellent location, 1 Mile of Hughes River frontage is an angler~s dream located on the property. 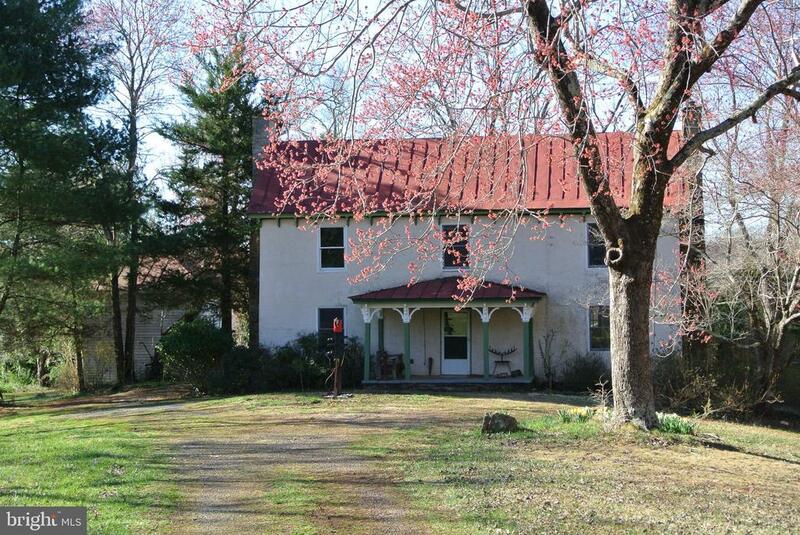 The 1850~s Farm house and barn awaits your renovations and updates." "Penny Lane is a magical place where the Hazel River conducts a symphony as it rushes through old forest. 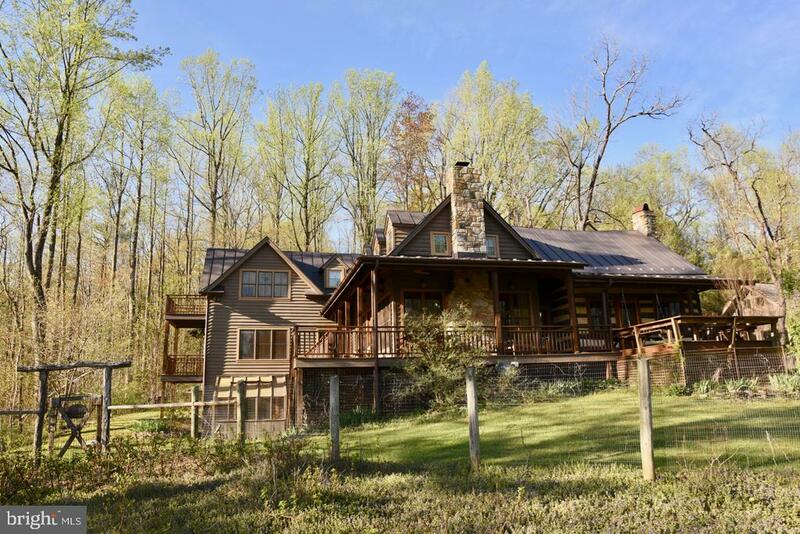 On a high knoll above the wild Hazel, this handmade 4 BD/4BA masterpiece offers mountain views with Old Rag on the horizon. Post and Beam home was custom built in 2005 around a circa 1800 Chestnut log cabin that could be used as a den, office, dining room or even a historic sleeping nook. Kitchen, Master bath, and main level bathroom feature custom painted tiles by a famed local artist. Upper level loft was specially designed to take advantage of the mountain views from the Great Room upper windows. Walk to several SNP trailheads. The home and guest cottage are on 13 acres." 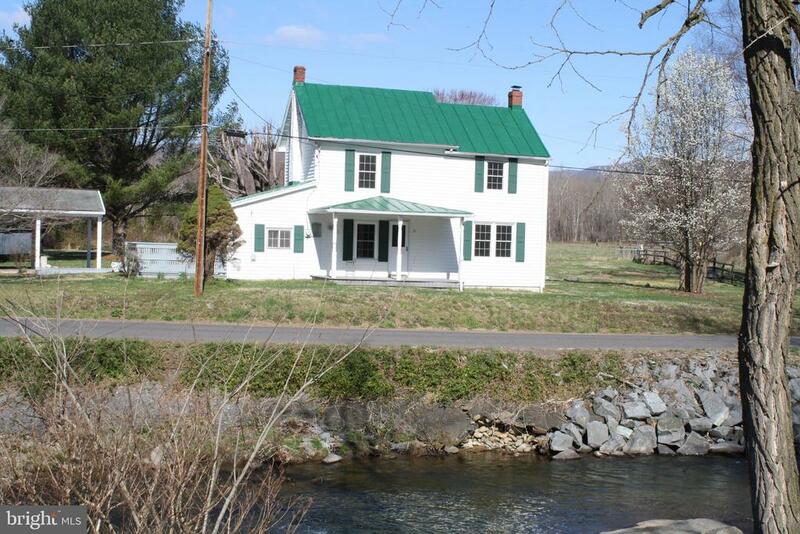 "Beautiful farm with pond, streams and Hughes River frontage. Very quiet and peaceful, views of Old Rag. Rolling fields interspersed with groups of trees. Nice woods and walking path at the river. Home is typical 2 over 2 with kitchen addition. Good barn and studio/office/guest cottage and storage shed. Truly a gentlemen's (or ladies') farm. Additional home sites with views." 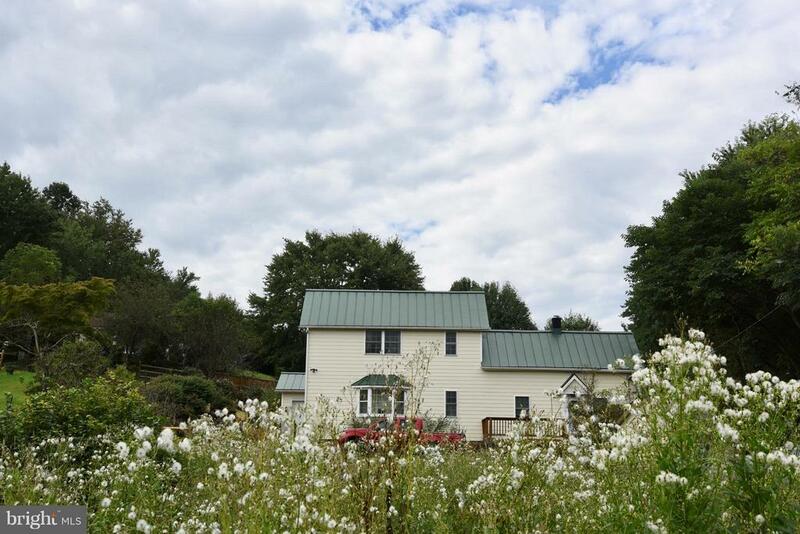 "Beautiful farm with pond, streams, and Hughes River Frontage. Rolling fields interspersed with tree group. Nice woods down by the river. Very quiet and peaceful, views of Old Rag. Home is typical 2 over 2 with kitchen addition. Good barn, studio/office/guest quarters and storage shed. Truly a gentlemen's (or ladies) farm. Additional home sites with views." 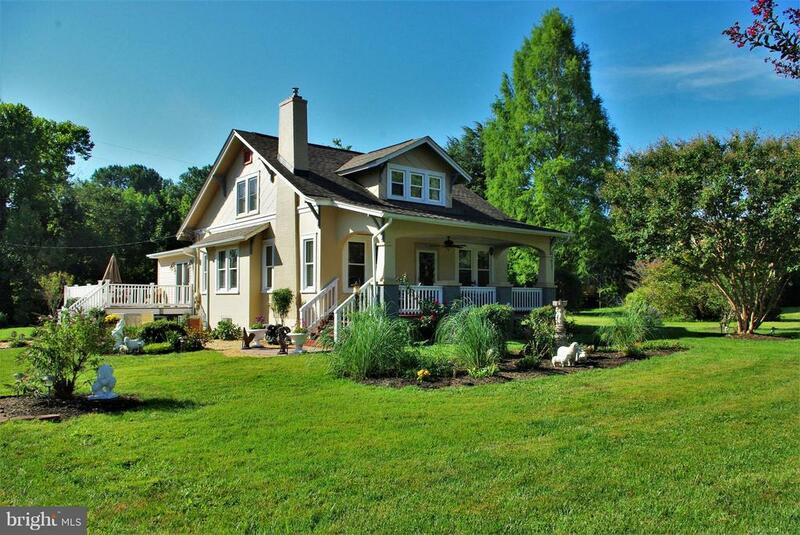 "A Prairie Style home nestled in a peacefully private setting by the Shenandoah National Park. An amazing stone waterfall in the entry hall evokes a delightful cliff-side spring. Tall windows bring the natural environment into the finely proportioned living room with wood burning fireplace. A granite kitchen offers full extension drawers and excellent appliances for the chefs, and, adjoins a slate floored glass and screened porch for morning coffee or an evening retreat with nature. Easy, comfortable living with spacious master suite on the main. As for the lower, this is multiple walkout level, bright with 9' ceilings. Guests or family will enjoy a two room suite plus another bedroom currently used as a most attractive office. Petite kitchenette in the wide bedroom hall A large studio captures the changing light and color of the forest for the creative types (or makes a terrific family/recreation room) with wet bar. Add to this a good hobby/crafts room (an original dark room with sink) nicely plumbed for conversion to a second full bath on this level if desired. Good storage in roughly 500 sq ft utility area. Plus more..., but you need visit to appreciate it all!" "Imagine the sunsets over Old Rag Mountain as the sky is lit on fire in shades of orange and red and the ridge-line silhouetted against a vivid sky. 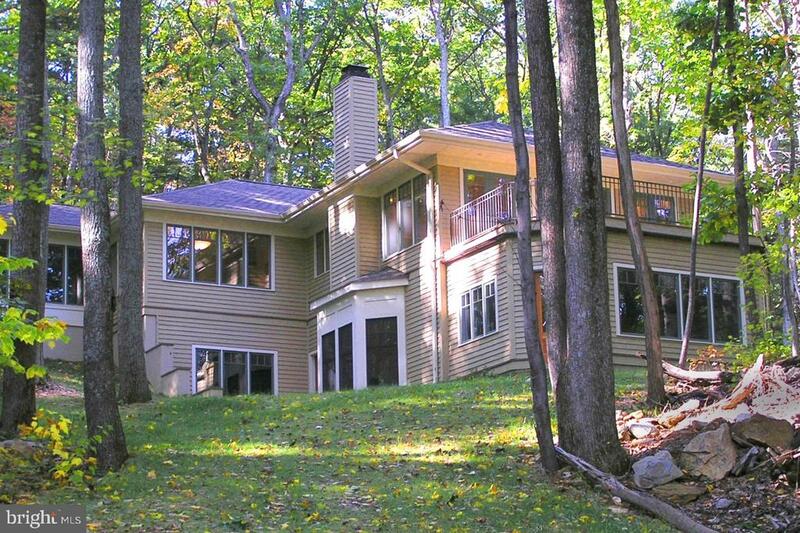 Anyone who has admired the spectacular beauty of Old Rag is sure to love this property. Rolling acres combining open fields with mature woods. Located just off a quiet country road, the property has an excellent location, 1 Mile of Hughes River frontage is an angler~s dream located on the property. 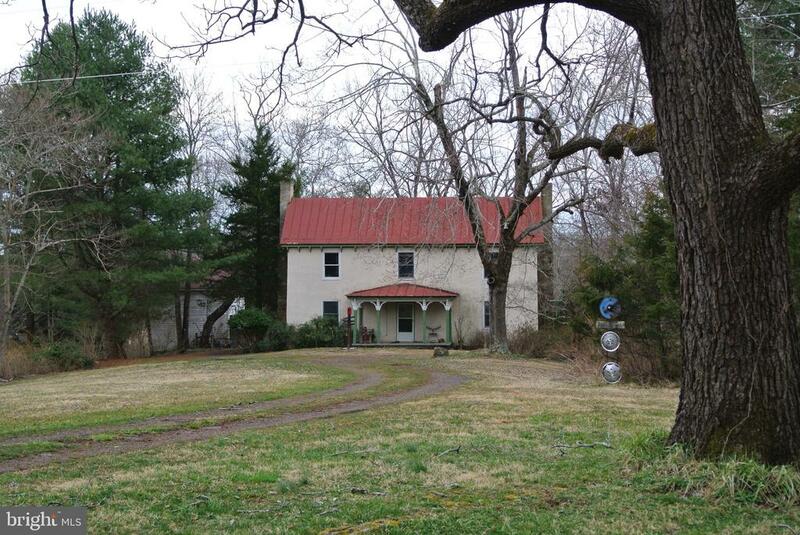 The 1850's Farm house, barn offered as is and awaits your renovations and updates." "Lovely custom built CAPE COD with many extras. Cherry cabinets, fireplaces with wood stove insert and new auto pellet stove insert, 36x40 garage/shop/shed, large finished living space in basement with flue for wood stove and full bath. Like new home has new roof, gutters, windows, HVAC, pool liner, well pump, appliances all in last 1-5 years. Views of Old Rag and rolling hillsides. All on four mostly open acres." 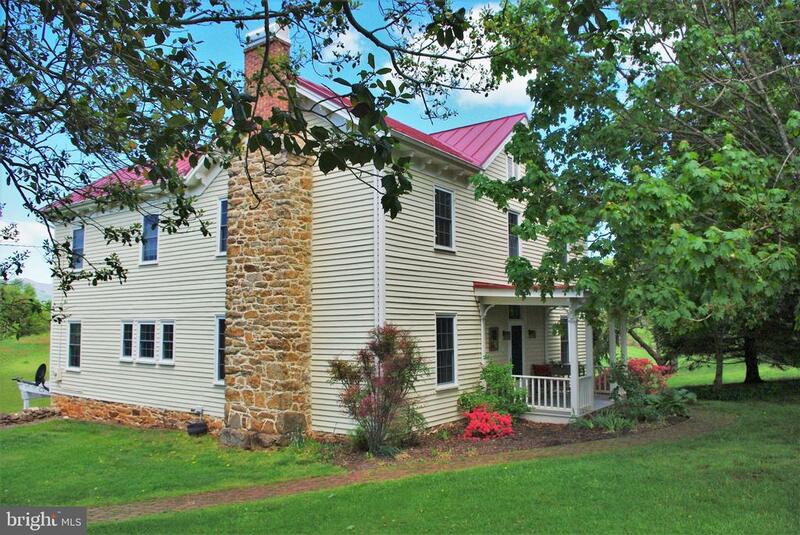 "Own a charming piece of Rappahannock history. Built in 1880, this lovingly restored farmhouse was once part of a large working farm. Sited to take full advantage of a glorious Blue Ridge and Old Rag Mountain view, the home now boasts a comfortable master suite, two additional bedrooms, a renovated kitchen, and two full baths on approximately 8.5 open acres.In addition to a knock-out view, you will find many mature specimen trees, lovely low-maintenance landscaping~with~stone walls, and a brick walk to the shady front porch that invites you to sit a while. There is a pergola behind the home, a slate patio, and a screened porch from which to enjoy sunsets over the mountains.Entering from the inviting front porch, you are greeted by high ceilings and a soaring staircase. To the right is the comfortable living room with a wood stove, built in book cases, and a view to the mountains. Directly ahead is a full bath. Continuing through to the left, you will find a formal dining room with a cozy gas wood stove. The dining room connects directly to the beautiful and open kitchen, renovated in 2011, which features custom cabinets and soap stone counter tops. Just off the kitchen is a well-designed laundry room with front-loading washer and dryer and a petite utility sink.Beyond~the kitchen is the convenient mud room with its slate tile floor. To the right, the~mud room opens onto the screened porch, and from there to the slate patio and fully fenced back yard. It's the perfect spot to kick off muddy boots after working in the terraced vegetable garden~or hiking in nearby Shenandoah National Park. To the left of the mud room there is an office with built in storage cabinets and a view of the mountains.As in many old farm houses, there is a second staircase leading up from the kitchen. The original door at the bottom of the~stairs gives an authentic feel. At the top of these stairs you will find the self-contained, very private master suite. The bedroom leads to a dressing area "
"Well built 3 bedroom rambler on the scenic FT Valley Road. Close to the Shenandoah National Park, Old Rag Mountain and the bucolic little town of Sperryville. 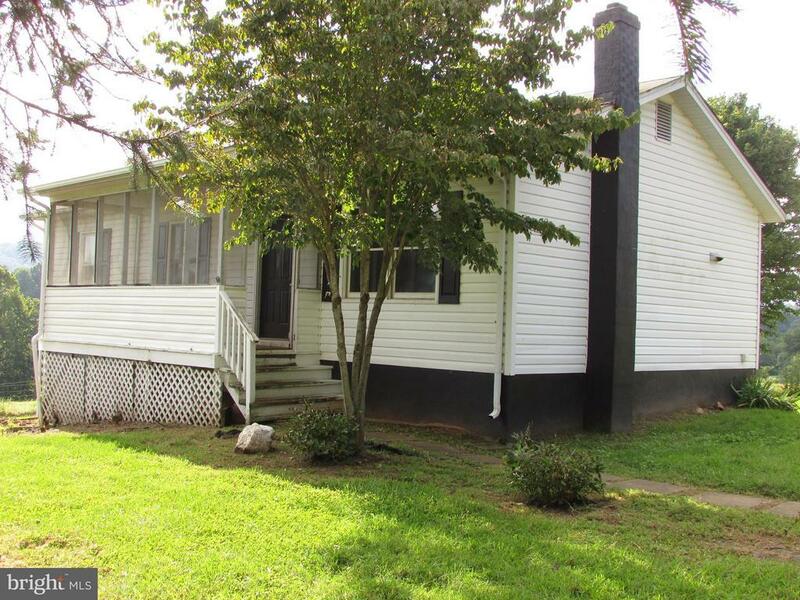 With three bedrooms on the main floor and over 35 acres there is plenty of room to stretch out. The parcel includes two lots so you can live in the current home while you build your dream home." "This Beautiful two-story house, family owned since the 1940s has all the charm of Village Life. Gorgous Heart of Pine Floors, Open Kitchen and Living Room with a Woodstove. Formal Dining Room that joins an enclosed porch drenched in sunlight or moonbeams. Pristine Wooden Staircase leads upstairs, where three spacious and light-filled bedrooms are located. Two Sheds in the back yard with some established raised beds for gardening. Aside from the conveniences, the village location provides high-speed cable internet. Everything is within walking distance. Shenandoah National Park is just a short drive away." "25 rolling, mostly open acres with small stream, some fencing and hay field. Views of Old Rag looms off to the west. Three bedroom, two bath 1000 sq ft rambler with full basement. Front porch and rear deck. House is in need of cosmetic upgrade. 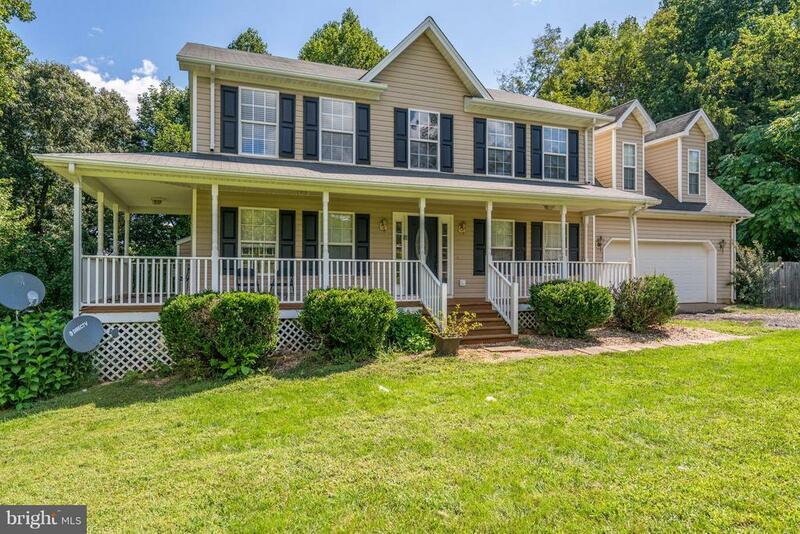 Convenient to Culpeper, Fredericksburg and Charlottesville." "MOTIVATED SELLER!! 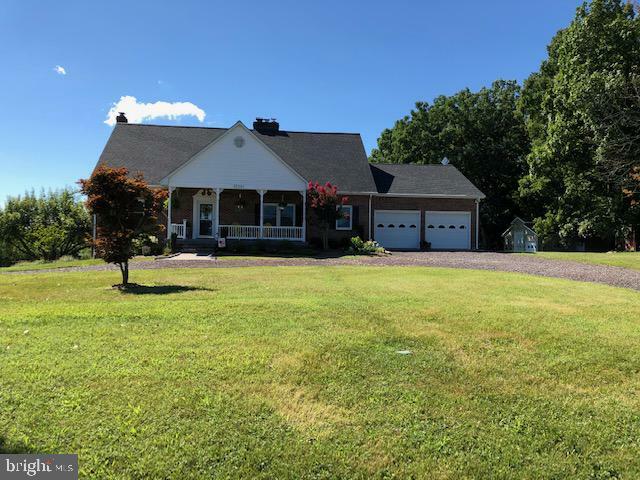 Wrap Around Country Front Porch nestled on 5 private acres is waiting for You to Call this Home!!! This 4 bedroom/2bath that is Move-In Ready offers a Gourmet Kitchen w/granite countertops & Stainless Steel Appliances. Hardwood Floors and Crown Molding throughout, Large Master Bedroom with his/her closets. Oversized Two-Car Garage!!" "Located less than a half mile from Main Street, this lovingly restored and maintained 1930 bungalow has so much to offer. This property would be equally suitable as a private home or a commercial space. The complete restoration of this light-filled, four bedroom and two bath home maintains the historic character while providing modern comforts and conveniences. The broad front veranda invites you to come sit a spell in its cool shade. Watch the world go by and enjoy the mountain view that peeps through the trees. Upon entering the home, the wide-open living room with its many tall windows will astound you. There is a beautiful enameled propane-powered ~wood~ stove highlighted by a wood mantel and space for multiple seating areas. The glowing, immaculate wood floors are found throughout the home. To the right of the front door there is another room, again with large windows, that could be a private sitting area, library, or perhaps an overflow guest room. The living room leads straight back to the kitchen and dining area, which are part of a roomy addition added in 1995. The large, open kitchen has lovely granite counter tops and plenty of space for a farmhouse dining table. Two glass doors open onto the expansive, wrap-around deck making al fresco dining and family cookouts a breeze. The main floor master bedroom is just off the kitchen in the center hallway, in the original part of the home. The large master bath, part of the newer addition, features a jetted soaking tub and a convenient laundry area. The second bath, also off of the hallway, has a beautifully tiled shower with a high-end rolling glass door. The central staircase leads up to a classic landing with a long balustrade. At the end of the landing are three bedrooms. The largest bedroom, on the left, has a lovely mountain view. The central bedroom enjoys the bank of windows in the dormer that is visible from the front of the home while the third room looks towards Sperryville. The expansive living space "
"Own a piece of history just off Sperryville~s Main Street. 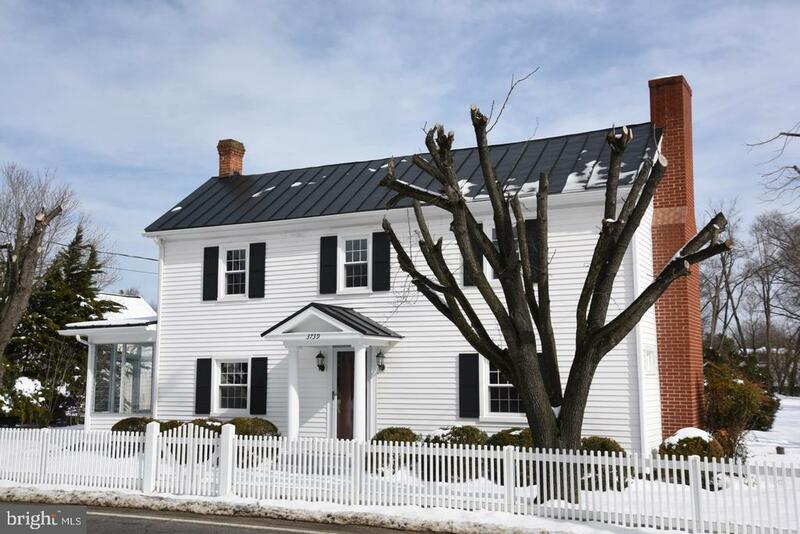 This home, originally the Blacksmith~s shop, has been lovingly renovated with a 2-story addition that features a large living room and family room retaining the charm of the original home. The beautifully landscaped property features raised beds with stone retaining walls and fruit trees. Excellent garage/shop. COMCAST cable internet." "Hopewell Cottage is a magical country retreat perched above the village of Sperryville. 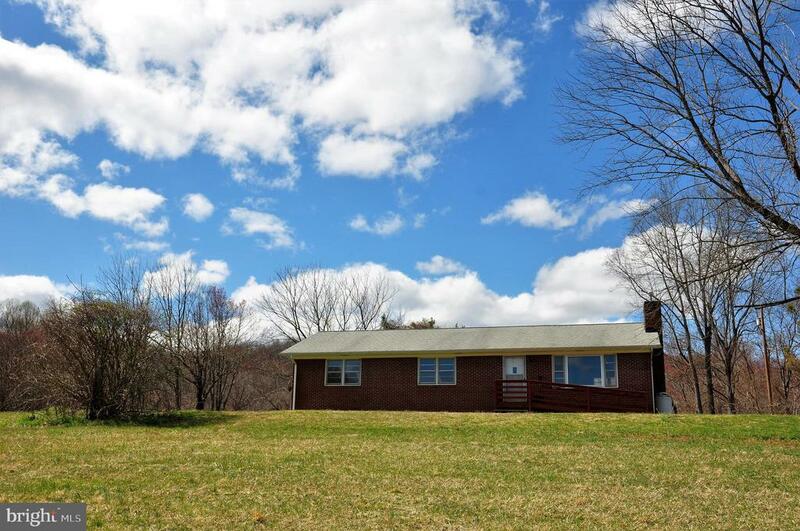 The two bedroom one bath home combines low maintenance with a great location on a 1.691-acre parcel. The current owners have lovingly updated the home installing solid maple kitchen cabinets, black granite countertops, stainless steel appliances, and a soapstone wood stove that is able to heat the entire house. The land surrounding the cottage is cleared and gently rolling with several native plantings and berry bushes. The property would be ideal for artists, writers, nature lovers or families looking for a place to reconnect surrounded by nature. Walk two-tenths of a mile to the village and experience the local coffee shop, bar, restaurants, and art galleries. Head in the other direction, and walk or bike along Woodward Road, a quiet gravel road which stretches for five miles with gorgeous views and lovely woods." 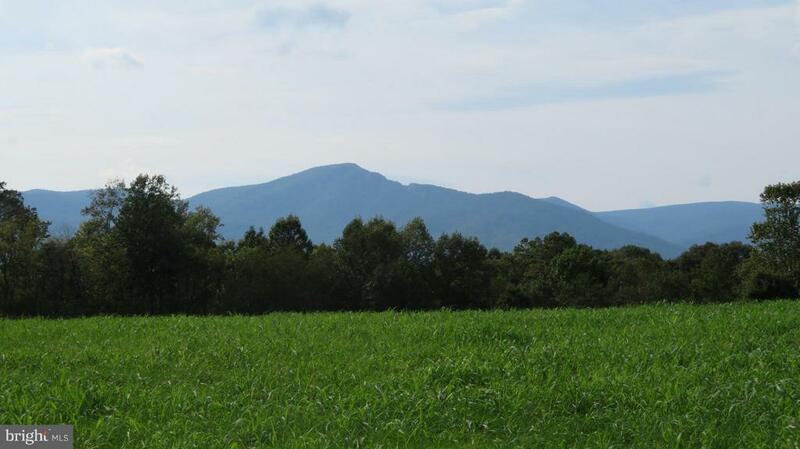 "Stunning 2.87 acre lot with impressive views of Old Rag Mountain. Open and gently sloping with perimeter fencing. 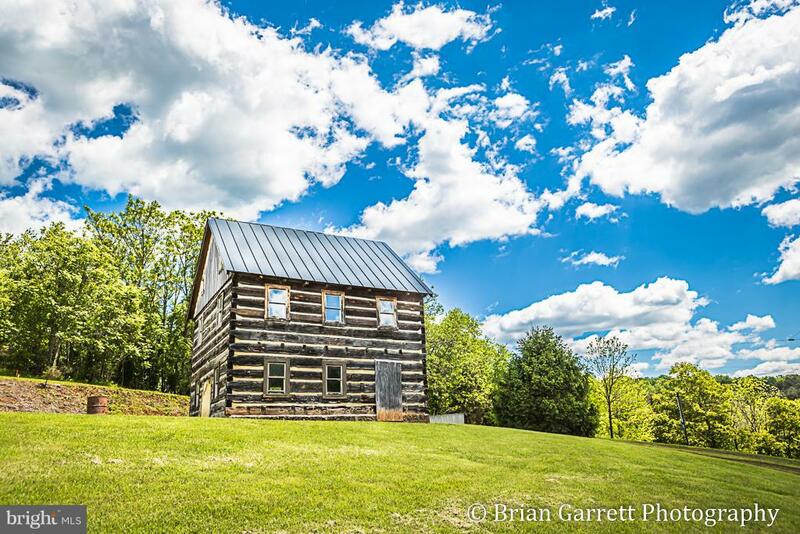 Quaint and meticulously erected 1700s log cabin brought down from PA. Stone foundation and 3 floors totaling 2,058 sq. ft. Cabin sits atop the hill to take in the views. Quiet and peaceful yet convienent to Route 231. Ready to finish your way and create something truly unique." "Charming 2/3BR, 1BA 2 over 2 National Folk farmhouse is set just across the road from the Hughes River. This peaceful setting invites you to relax on the front porch which is perfectly situated for listening to the movement of the river and will keep you mesmarized for hours; or enjoy the vistas of Old Rag looming while seated on the side deck located just off the kitchen. This National Folk farmhouse, circa 1903, is in pristine condition. Great for full-time living or weekend getaway. Improved with carport and sheds for storage. This is a must see property."